Hi guys! here we came again. 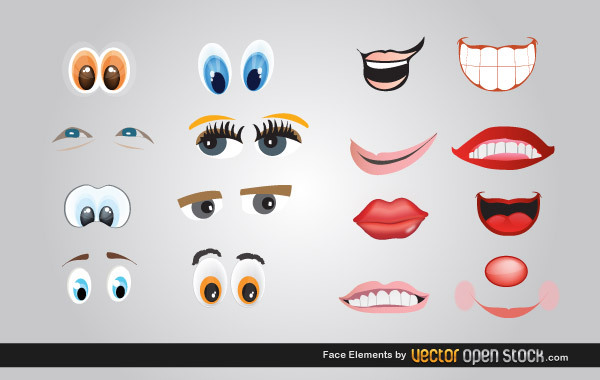 This time a free set of face elements with different types of eyes and mouths. Great for character creation, you can combine them as you like and create nice characters! Under Creative Commons 3.0 Attribution license.